You know how you can look at something a thousand times, and still not really see it? Once of the most amazing things about creating, is that it gives you the opportunity to really see something. I obviously had seen Sand people in the movies – lots of times; we even had a Tuskan Raider family at one of our parties (fantastic costumes – post to come! 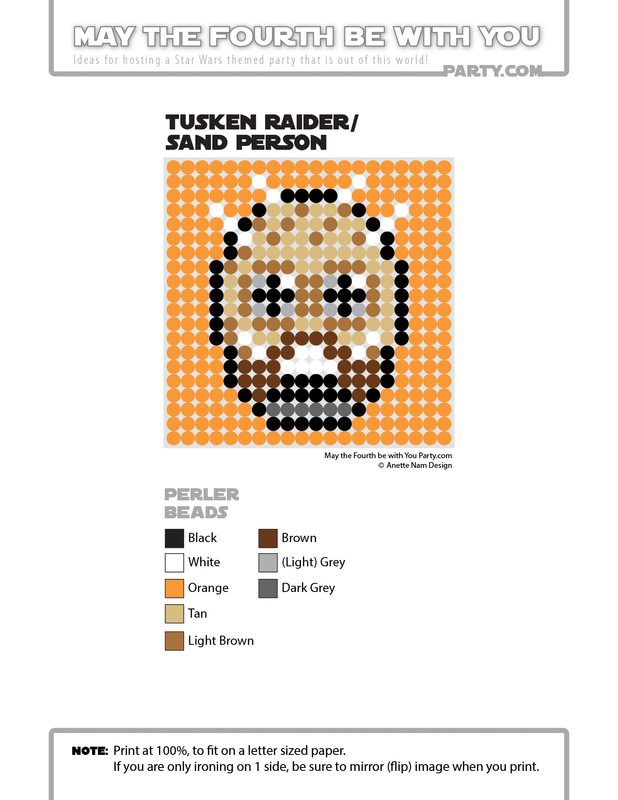 ), but I still was really surprised when I sat down to make the pixelated pattern for the Sand people. I simply had never noticed the intricacies of the mask. And I had no idea that they were not allowed to show any part of the skin – I had always assumed this nomadic race used them as a protection against the elements. Of all the pixel patterns, I actually think this was the most fun to make. 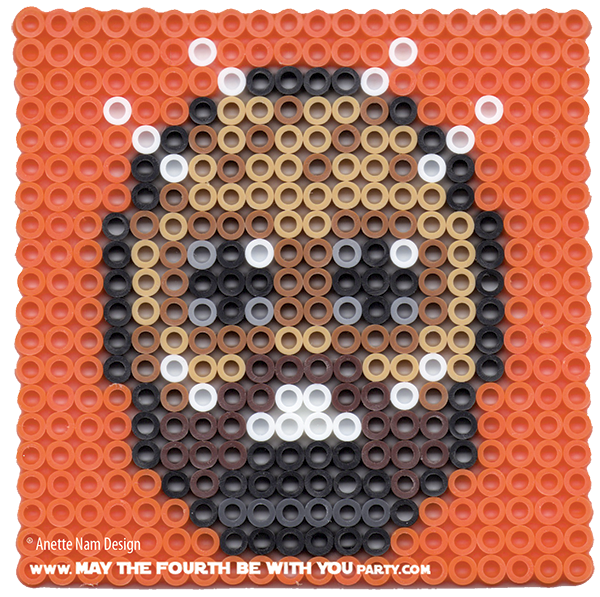 ..and I hope you have just as much fun making #18 in the Perler bead/cross-stitch/Lego/pixel/mosaic series. ← Monkey Wants a Tauntaun!